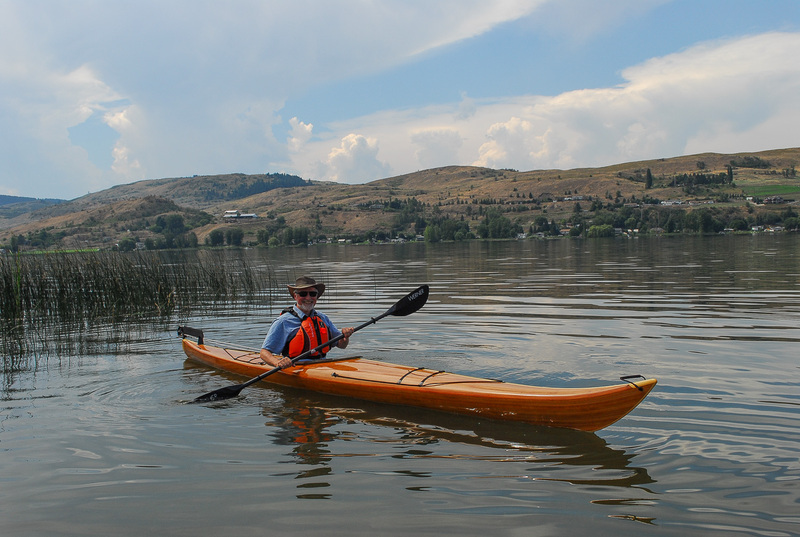 The author’s freshly finished kayak on Swan Lake, Vernon, BC. 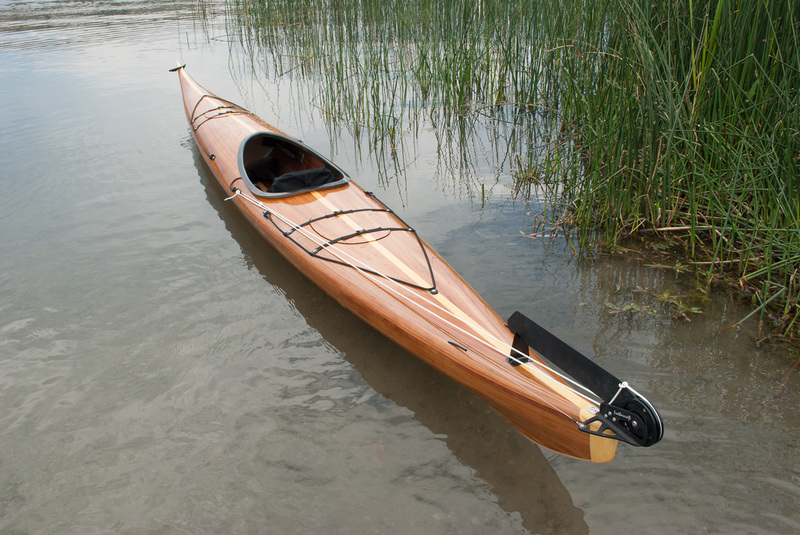 After some 400 hours of pleasurable work, I launched my kayak on August 3rd. I’m very happy to report that my new boat meets all of my expectations. She is fast and capable and when I get back to the ocean I’m sure she will also pack a good expedition load. Rainbird, the 33’ wooden Bill Garden sloop which had been in my life for 5 years was sold at the end of June. As my home is in the BC Okanagan, keeping a boat on Vancouver Island was becoming a strain. Getting there involved a 550km road trip and an expensive 2 hour ferry ride – typically 11 hours door to dock. I was also spending way more time on maintenance than sailing. Besides, Rainbird was as much Jilly’s boat as mine and after she passed away in 2012 my whole world changed. I certainly haven’t lost my love for sailing and wooden sailboats, but it’s time to try something different, especially as the cost of keeping a boat on BC’s coast makes it tough for budget conscious sailors. 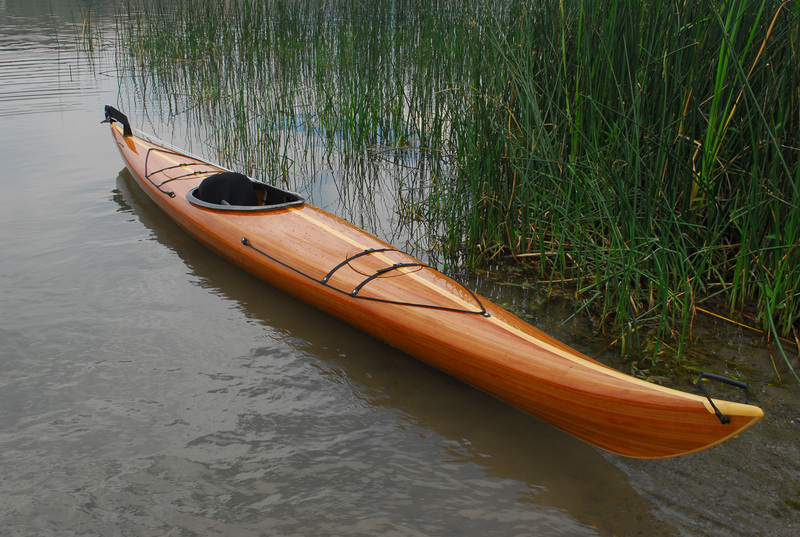 I will continue posting kayak building tips. The process wasn’t difficult but then I have 30 years of building experience to draw on. Hopefully I can help new builders save themselves a little time and money. Finally I would like to thank Vaclav Stejskal of One Ocean Designs for his beautiful Storm LT design and excellent plans and manuals. Armed with these you can’t go wrong and my comments are only intended to show other slightly different ways of achieving the same ends with the tools, materials and experience you have at hand.